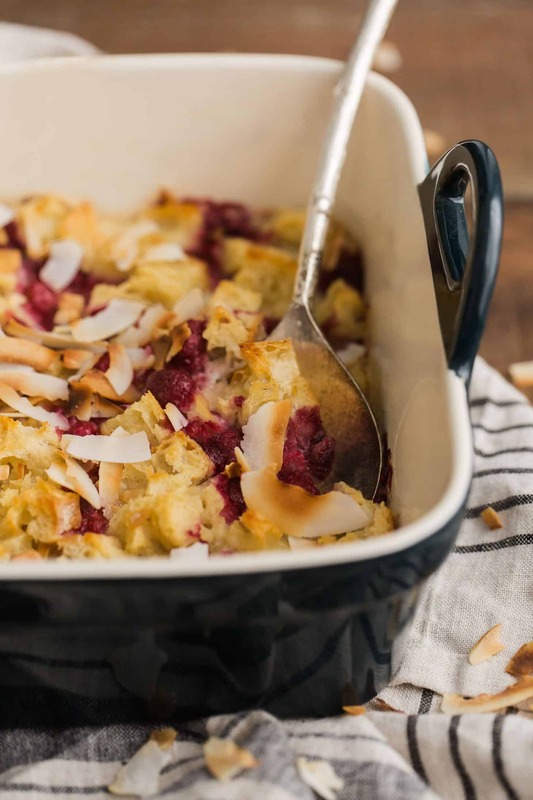 Coconut Bread Pudding with Raspberries | Naturally. No get-together would be complete without dessert (which may seem strange given the low amount of desserts on this site). 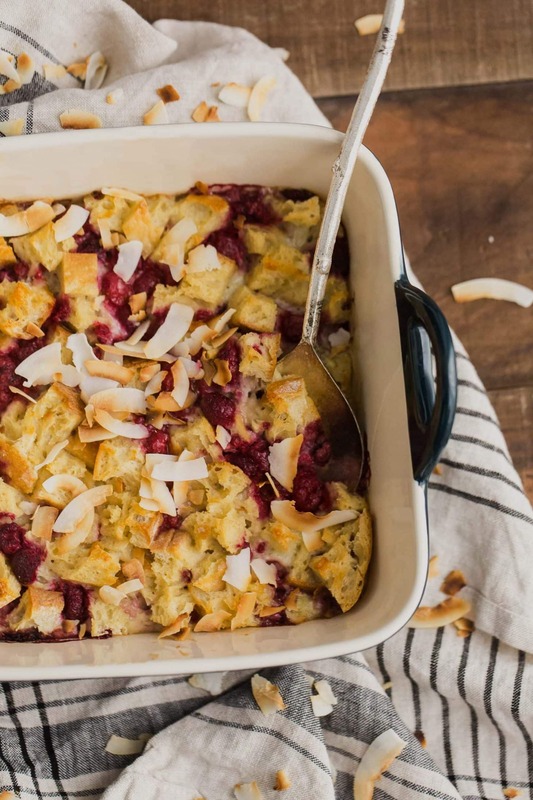 Sometimes these desserts are on the elaborate side (like a cheesecake) and sometimes they are like this coconut bread pudding; easy to throw together and full of summer fruit. This particular base for bread pudding is from my cookbook and while it’s not the super rich recipe, I find it perfect in texture and flavor. The book calls for using multigrain bread but I used a simple peasant loaf for this variation, letting the coconut flavor really shine. A simple and flavorful whole grain bread pudding using fresh raspberries and coconut milk. Preheat the oven to 350 ̊F (180 ̊C). Toss the bread cubes and raspberries together in a 1- or 11⁄2-quart (1 or 1.3 L) baking dish. In a bowl, whisk the eggs and then add the coconut milk, maple syrup, melted coconut oil, and vanilla extract. Pour over the bread, pressing the bread down with the back of a spoon to cover with the egg mixture. Bake the bread pudding for 40 to 45 minutes, until golden and set. Remove from the oven, drizzle with cream, and serve. Tips & Tricks: I love the delicate aspect of the raspberries but blackberries and strawberries would also work. If you’re familiar with The Easy Vegetarian Kitchen, you know that it is a big book of variations. And so, if feels a bit strange to give variations for a recipe that itself is a variation. It just goes to show that for one recipe there can be endless amount of ideas! 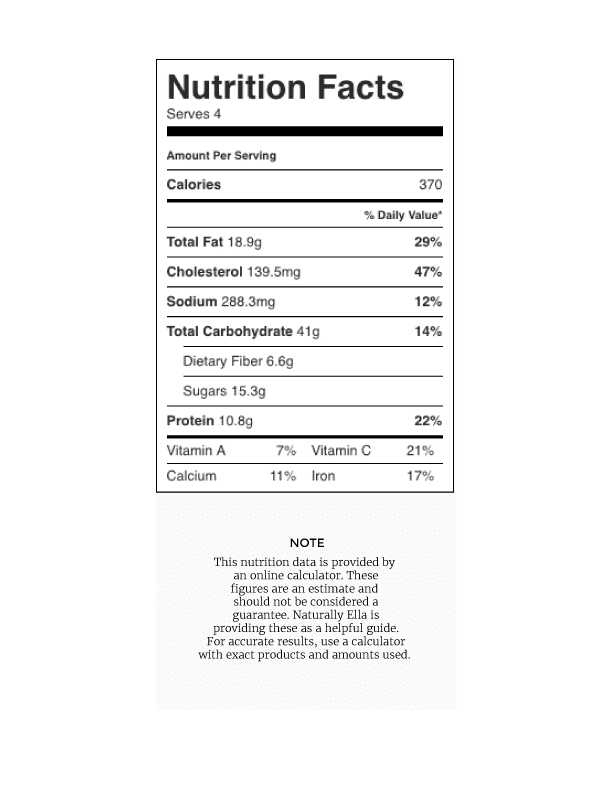 Vegan: If you’re looking to make this vegan, follow something similar to this recipe and use roughly 1 1/2 tablespoons of a starch as a thickening agent and cook the custard base ahead of time. 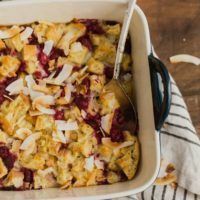 Spice: I wanted to keep the flavor profile of this coconut bread pudding to just the coconut and the raspberries. However, I think a bit of cinnamon or cardamom would be a lovely touch. Ooo, this looks beautiful and delicious! 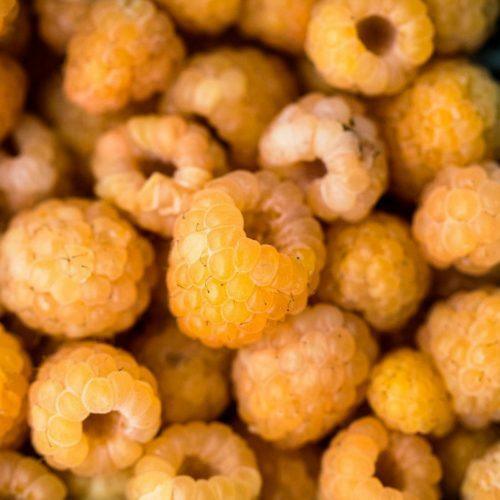 I’m so in love with raspberries lately and I can’t wait for fresh berry season! Anything coconut + berries is my favourite. I’ll definitely try it vegan-style, even if it doesn’t bake up the same the flavours will be awesome. Thanks for the variation tips! Yum. Raspberries are amazing and this looks delicious. I will definitely be trying this soon. I love coconut and raspberries so much so I think I’m gonna give your recipe a try ! This looks delicious! I love coconut and raspberries together. A nice refreshing dessert for summer.